Well it is not really a magazine, but a supplement to the main magazine. I think I should really try and pick up Japanese.... :). Anyway, this supplement comes with Issue 48 Watch Power (Power Watch?). 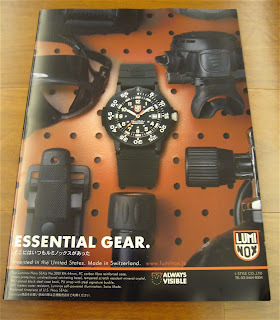 The title of the supplement is 'Military Watch Buyer Guide 2009'. The supplement itself is 52 pages thick. It measures 28.5 x 21 cm and is 3 mm thick. The supplement is divided into a number of sections. The first section is on World War II. The second section is on the Vietnam War and the third section is on the Gulf War. 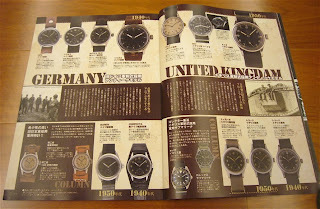 The last two sections are on the next generation Military watches and Military watch special selection. 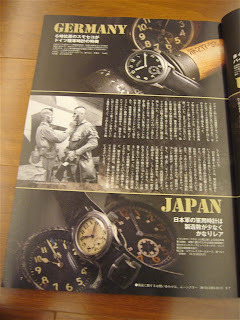 The first section, 'History of Military Watch - World War II, talks about watches issued to the forces involved in that war. 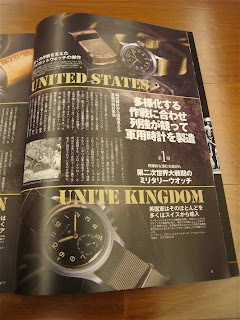 It covers watches issued to Americans, Germans, British and Japanese. There are lots of pictures and photographs. 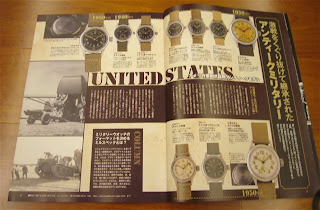 The section ends with current iterations of watches issued during WWII. 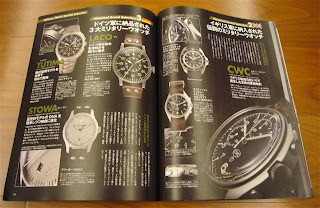 Examples includes the Tutima Chronograph watch and the Hamilton. Section two, 'History of Military Watch - Vietnam War' is a short section. It covers watches issued to the American GI and to the Russian forces. Not sure if the watches shown were actually issued or are the current models. 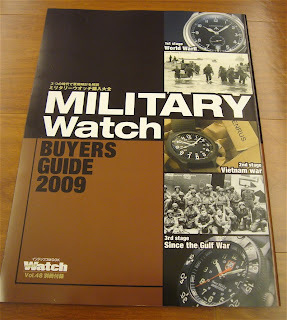 The next section, 'History of Military Watch - Since the Gulf War', is also another short section. There is no photographs of watches in this section. There are lots of photographs of soldiers in action during the Gulf War. 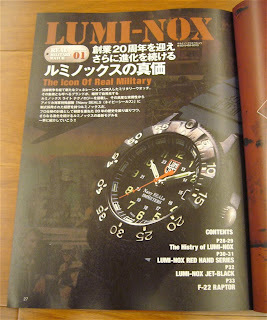 Section four, 'The Next Generation of Real Military Watches, talks about watches made by Luminox, Nite, Traser and MTM. There are lots of photographs in this section. 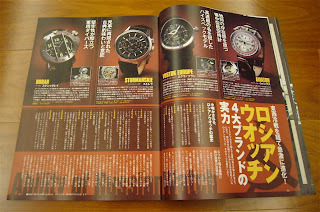 Detail specifications and special features of the watches produced by these companies are shown. 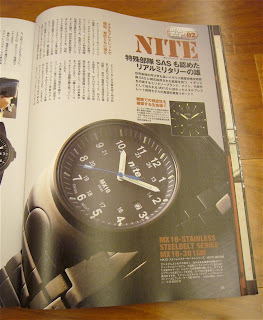 There is also a write up about the Nite GX80-001 that was issued to B Squadron 23 SAS UKSFR. Overall, an interesting supplement. Wish I understood Japanese.